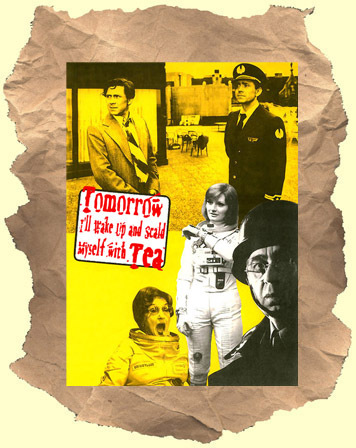 TOMORROW I'LL WAKE UP AND SCALD MYSELF WITH TEA (1977) - Buy it on DVD! SYNOPSIS: Completely whacked-out time travel madness. In the distant future two brothers run a time travel business. Customers can travel back in time and experience past events. Some former Nazi's hatch a plot to go back in time and give Hitler a bomb to help him win the war. Thereby making the Nazi's WWII victors! Since this is a wild Czech made sci-fi comedy things don't go as planned. Plenty of mix-ups, time travel confusion, mistaken identities and problems arise. A really funny recommended winner! In Czech language with English subtitles. *For more weirdness see: Son of Hitler, Timestalkers, I Killed Einstein Gentlemen, Man From the First Century and Who Wants to Kill Jessie?